Home › WRITINGS › ARTICLES › Why Do Some People from Muslim Backgrounds Hate the Islamic Belief of the Necessity of a Caliphate (Khilafah)? Why Do Some People from Muslim Backgrounds Hate the Islamic Belief of the Necessity of a Caliphate (Khilafah)? Many people who convert/revert to Islam are awe struck and amazed with the profound idea at the core of Islam, that mankind’s place in the universe is part of a purpose of existence greater than themselves – which ultimately revolves around the Creator’s Will that created all things. Indeed, the knowledge that humans and their lives have intention behind them, and therefore have a purpose, significantly changes a person’s perspective about all things (in the most profoundest sense). Naturally, one would expect Islam to deal with all life’s affairs, since it would be obvious to anyone that if man’s life has purpose, then all aspects of their life would clearly revolve around that purpose, and therefore require guidance on how to live, for what end, and what justice looks like and how humans can establish it. Siyasah (Politics), which simply means in Arabic, ‘to take care of affairs’, would be something we would expect God to give guidance on. Indeed, Islam not only defines what justice is, and orders duties and responsibilities upon mankind, Islam also guides Muslims into ‘how’ justice can be achieved and the vehicle they should use to convey it, namely, how they get organised. The Prophet Muhammed (saaw) wasn’t content to simply ask people to believe in his teachings of good and bad, justice and injustice and salvation and perdition in hereafter, the Prophet Muhammed (saaw) asked Muslims who believed in him to give him political obedience in order that he can discharge his mission to overturn injustice and tyranny, help the poor and needy near and far, and re-create an entire society based upon the purpose of God as an example to all mankind. Therefore we see that the Quran doesn’t just contain personal commands, but also commands that order economic transactions to allow humans to all have food to eat and shelter, the Quran orders a justice system so that mankind can collectively establish justice, prevent corruptions dominating a society and pressuring humans to do bad things, and the Quran orders Muslims into collective action to defend the Weak and oppressed in the earth. In English, we have a name for a collective of people who organise themselves to manage the affairs of a society/community, its called a State (def: an organised community under government). Of course, all this makes sense, if man’s life has a purpose, than ALL their life’s affairs would also revolve around that purpose. I mean, humans are not part-time servants of God right? Apparently so, according to Secularists of course. And while it does not surprise converts/reverts to Islam, who came from the spiritual vacuum of Secularism, to hear some Secularists argue that God made mankind but with no purpose, or that God is silent when it comes to how they live their life – it gives deep shock to converts to encounter ‘Muslims’ from Muslim backgrounds arguing that Islam has no place or is silent in politics (read: the affairs of mankind’s life), or that Islam’s contribution is only to command Muslims to join in and prop up the status quo of Secular nation states which preside over a deeply unjust world (which is no different to saying that Islam has nothing to say about the affairs of life)! Strangely, some of these Secularised ‘Muslims’ attempt to argue the Islamic idea of the Caliphate should even be rejected by Muslims, and that it isn’t obligatory to establish! They, along with their Islamophobic Westerner allies even attempt to link belief in the Caliphate to terrorism! It’s strange for a number of reasons. Belief in the Islamic Concept of an Caliphate is inextricable from Islam. The word Khilafah comes from the Quran, and the term ‘Caliph’ was used of the leadership of Prophet David (a.s.) over the tribes of Israel in Canaan. It is also used in the Quran dealing with Muslims who do righteousness being granted Khilafah upon the earth. Secondly, the word also comes from the hadith (traditions) of the Prophet Muhammed (saaw) with very explicit commands regarding pledging allegiance to a Caliph, ensuring rulers rule by Islam, and ensuring there is only one ruler over Muslims – to fulfil the Quranic requirement for Unity (in order to preserve Muslim strength and prevent fitna). The Prophet Muhammed (saaw) is narrated to have said: “Whoever dies and did not make an oath of allegiance (to the Muslim leader) has died a death of jaahiliyyah.” (Narrated by Muslim, 1851). The Prophet Muhammed (saaw) is narrated to have said: “If allegiance is given to two khaleefahs, then kill the second of them.” (Narrated by Muslim, 1853). However, even if the obligation of Caliphate wasn’t explicitly mentioned by the Prophet Muhammed (saaw) would still be a necessity deduced simply the amalgamation the obligation upon to Muslims to A) establish the justice of Islam collectively in laws and organised duties, and B) Unity. In fact, the only difference of opinion Islamic scholars had (as Ibn Khaldun discusses in his muqadimmah) is whether the obligation of Caliphate is primarily deduced from Prophet’s Muhammed’s explicit commands about it, or by rational necessity of fulfilling all of Islam’s requirements (Ibn Khaldun cited the former). All schools of thought in Islamic fiqh and Aqeedah are in general agreement about the Caliphate. The Shia block only disagreeing with the Sunni bloc on how far the Caliph’s powers go and who should be the Caliph (Shias believe the Caliph should also have power to be obeyed on matters outside of politics, and that only a designated member of the Prophet’s family can fulfil that role). When looking through 1,400 years of Islamic scholarship, the challenge isn’t to find scholars that advocated the necessity of a Caliphate, but to find those who didn’t! After spending much research trying to find just one scholar that didn’t believe Caliphate was an obligation, I only found a small faction of the Khawarij (ironically appropriate) who came from Najd, believed that Muslims didn’t need a Caliphate, as they believed that ALL Muslims can implement the hudood and other laws collectively (i.e. socio-Anarchism). The Najdi Khawarij branch was famous for arguing with CALIPH Ali (ra) that only God should be the political ruler, not Ali (ra). To which Ali (ra) refuted them, by challenging them to put the Quran on a throne and make it rule [In a debate between Ali (ra) and Khawarij, would you really want to take the Khawarij’s side?!). The only other scholar was the Mutazilite, Abū Bakr al Assam who believed that the Caliphate was only not an obligation IF it was possible for the Muslim community to implement ALL Islamic laws without ANY GOVERNMENT. However, it they couldn’t THEN the Caliphate was obligatory. The majority of Mutazilites, however, all believed that Caliphate was an obligation – and three Caliphs were even Mutazilites! It should be noted, that even in these cases, no Muslim ever argued that another form of government was permitted. Especially not one that denied God’s law! Even scholars that many Secularised Muslims (ignorantly) look up to, condemned other forms of government, Ibn Sina, Ibn Rushd all discussed other forms of government, and (like their Greek muses) condemned Democracy as one of the worst forms of government. Ibn Farabi in his Kitab al Siyasah al-Madanıyyah (The Book of the Political Regime) even, amazingly, predicted that if Democracy were to exist, it would be dominated by the rich who could buy influence. Now even if a Seculariser were to bring up the Mutazilite al Assam, and the Najdi Khawarij has ‘valid difference of opinion’. It would not follow that they could criticise those who follow the (overwhelmingly) majority-to-the-point-of-virtual-consensus opinion. For if they call on Muslims to ‘respect their difference of opinion’, then they too CANNOT tell Muslims it is against Islam to publicly campaign (politically peacefully) for the re-establishment of the Caliphate, for Muslims have an equal right to follow the (vast majority) opinion too. However what you’ll find, is that Secularisers can be every bit as intolerant as those they misrepresent being intolerant of their ideas. When Muslims criticise them, they hold up their hands and cry ‘difference of opinion!’, but when Muslims reject Secularism or advocate an Islamic ideal that is contrary to Secularism, Secularisers will decry it as ‘extremism!’, denounce all those who believe in it, ask the West to clamp down on those opinions, and call for the destruction of these ideas from all societies. Secularisers demand Secularism, and won’t tolerate anything less. Many Western politicians and strategists, since even before World War 1, looked at the concept of a Caliphate as a big obstacle for their imperial designs in the Muslims world (i.e. cheap resource extraction, strategic military projection against other powers). Western politicians, like Sir Mark Sykes (the man behind the disastrous Sykes Picot agreement) were open  about the necessity of dismantling and destroying the Caliphate under the Ottoman administration, and his successors have been vehemently opposed to its establishment ever since. Similarly, many people from Muslim backgrounds who embraced Secularism, view the hope in the Muslim world for the revival of a Islamic Caliphate, as an obstacle to the introduction and preservation of the artificial colonial construct that gave ‘birth’ to them, of the Secular Nation-State. However, Western politicians and ‘Muslim’ Secularisers have found it difficult to persuade the Muslim world that unity (and its accompanying strength) under the justice and laws of God, is something Muslims shouldn’t want. So instead they’ve had to adapt their polemic and attempt to claim that the Caliphate will produce nothing but harm to Muslims. Secularisers know deep down that belief in Caliphate produces no more violence than someone believing in the nation-state of United State of America. However, Secularisers need to use a gimmick in order to argue against it, because the Islamic Concept of Caliphate (and Islamic law) is one of the biggest obstacles to the wholesale Secularisation of the Muslim world. Of course, this is reflected in the strange and self-contradictory arguments they use. For example, Secularisers argue that the belief in the Caliphate produces Terrorism, and then point to a supposed ‘history’ of terrorism amongst Muslims starting with the ‘Wahabbis’. It seems to have been lost on them, that the Saudi revolt wasn’t done in the name of a Caliphate, but it actually fought against the Ottoman Caliphate! After the destruction of the Ottoman Caliphate, the Saudis were rewarded by the British for their collaboration with control over the lands of Arabia (whose boundaries were determined by Sir Percy Cox). Saudi Arabia isn’t the cause of terrorism, but actually a post-colonial nation-state, whose job since its inception is to maintain the status quo and ensure the oil flows to the West (including lavish welcomes for American presidents like Trump). This becomes clear when you ask yourselves this: if the ‘ideology’ of Saudi Arabia promotes Caliphate, why haven’t the Saudi’s declared themselves as a Caliphate? The answer is, Saudi Arabia was built on the ruins of the (Ottoman) Caliphate, and are not seeking any return of it – quite the opposite in fact. Secularisers then point to Terror attacks in the West, or in the Middle East, citing the belief in Caliphate as somehow the cause. Yet again, this is disproved by the claimed motivations of the terrorists themselves , who invariably cite Western foreign policy grievances. If simply belief in a Caliphate causes Muslims to spontaneously attack any nearby non-Muslims, why haven’t these Secularisers explained why no Muslim perpetrated terror attacks happen in South America (strong Muslim populations there, like Suriname, which has a Muslim population 14%), or South Africa (Muslim population comparable to UK proportion), Switzerland (Western Country) or Ireland (another Western country)? The answer, I suspect, is to be found in what all these countries foreign/domestic policies all have in common with each other. Of course, the arguments of Secularisers full of hypocrisy in this regard. Just yesterday, during a UK election debate, an audience with a strong demographic of Conservative Party supporters lambasted Labour party leader Jeremy Corbyn for refusing to confirm whether he’d ever fire the UK’s nuclear missiles as an enemy country’s civilian population, murdering millions . The Conservative supporters wanted Corbyn to agree with them that he would! Indeed Theresa May , the acting Prime Minister of the UK confirmed in parliament that she would fire Nuclear weapons even if hundreds of thousands people would die in the process – all presumably in the name of the national interest, or to put it simply, the British Nation State. This logic is warped and disgusting, and very much part of Western political philosophy. The so called ‘Muslim’ terrorists don’t kill people because they believe they’re imitating the Prophet Muhammed (saaw), they do so because they are imitating the West – which is something Osama Bin Laden openly admitted . In light of this, we should all ask Secularisers who want Muslims to imitate the West, how imitating the West is going to stop terrorism – when it is an idea the Terrorists imitated from Western military history in the first place?! The truth that Secularisers don’t want people to realise, is that nationalism has caused more wars and terrorism in the last 200 years than anything else. for most of the 20th Century, Terrorism was caused mostly by nationalist groups (many of them supported by the CIA in South America), where in the name of ‘Freedom’, and ‘The Nation’ people were brutally murdered, raped and even beheaded in the thousands. In fact, the (in)famous Secular revolution of the Enlightenment, the French Revolution, in the name of ‘Liberte (Freedom), Egalite (Equality) and Fraternite (Brotherhood of Citizens), beheaded thousands of French people, including, Catholic clergymen (priests and nuns). They beheaded so many people, they even invented a machine to do it efficiently, called La Guillotine. They beheaded so many people, ISIS’s horrific record pales by comparison to this Secular movement. Indeed, the biggest killer of Muslims in the Muslim world is the War on Terror by America and its allies, which has caused a death toll that dwarfs the death toll by all other terror groups in the region combined. Would the Secularisers be willing to devote the same amount of energy to defeating the America and the ideology behind its violence now (which is Secular Liberalism)? Doubt it – a child does not easily reject the parents that gave birth to them. Another argument Secularisers then attempt to use, is to poke holes in Muslim history and argue that a Caliphate wouldn’t work because ‘there was a civil war soon after its creation after the death of the Prophet Muhammed [saaw])’. [I’d like to see them say that back then to Caliph Ali’s (ra) face first off, but anyhow…]. So let me get this straight, the largest and most powerful country in the world right now, the United States, is a viable government according to Secularisers, despite the fact that soon after its creation, it fell to one of the most bloodiest civil wars in human history. More Americans died fighting each other in that war than the current Syrian civil war death toll DOUBLED! Does that mean that Secularisers will be calling for Americans to reject the United State of America having a government now? The English Civil War wasn’t any better, and the French Revolution killed up to a million. The problem with this argument is multi-fold. Firstly, the word ‘extremist’ or ‘extremism’ means nothing within Islamic discourse. There is no word for ‘extremism’ in the Quran or hadith. Yes really. The word Ghuluw in Arabic, that some people mistranslate as ‘extremism’, actually means ‘excess’, and refers to doing good actions to the point of going over the limits of God. Example, giving all your money and property to charity to the point you cause your family to starve and be homeless is Ghuluw. Praying so much, you don’t sleep or eat or attend to family duties for days is Ghuluw. However, Terrorism is simply fajara, or fisq (wrongdoing, transgressing the limits of God). Ghuluw cannot be used because Ghuluw means to do a good action to excess, but terrorism is wrong and breaks the limits of God with the killing of just one person, and it being evil in the first instance is not dependent on how many more people are killed subsequent to the first action. If Secularisers want to reject all things that have ever been cited to justify violence and terrorism, they should first reject their own beliefs in the Secular Nation-State and Secular Liberalism, because more terrorism, killing and wars (and colonialism) have been committed in their name, or under their goals. Furthermore, the argument by Secularisers can also become absurd. It could equally be said by them ‘We should reject belief in God, Muhammed (saaw) and the Quran, because these beliefs are shared by some terrorists, and cited by them in their speeches’. Heck, if you want to go all the way, you could also advocate people reject the word ‘Justice’ and ‘Defence’, since throughout all time, humans have always killed and murdered saying it was in the name of ‘justice’ and ‘(self) defence’! Hopefully the absurdity of the argument of Secularisers has become clear. While Muslims recite – mantra like – multiple denouncements of terrorism, the Secular nationalists in the West proudly demand that their political leaders openly profess their willingness to use weapons that would kill millions of civilians ‘in the national interest’. Yet the Secularisers have the gall to say that the problem is with Islamic ideology?! Of course, what most Muslims don’t realise when they hear this, is that the Seculariser is actually referring to beliefs that all schools of thought have in common, and what the Secularisers want people to reject ultimately,are beliefs which are also contained in this own aqeedah (creed), by disguising it and claiming it is actually only the beliefs of a rival school of thought/group. One clear example is Secularisers telling Muslims to reject the idea of Caliphate and Sharia because this idea is preached by non-violent political groups they may have disagreements with (e.g. Muslim brotherhood, Jamaat al Islami, Tanzeem-e-Islami, HT, [and the UK sufi based] Al Murabitun etc). What most Muslims don’t realise is that these groups are not the main target of the Secularisers, but actually the political aspects of the Sharia and the Islamic concept of the Caliphate itself! The reality is, none of these groups *OWN* the concept of Caliphate or sharia. The belief in the concept of the Caliphate is an Islamic belief that was bequeathed to us by the Prophet Muhammed (saaw) and belongs to all of us. No group can claim a monopoly of that belief. Abu Bakr (ra) was not part of Muslim Brotherhood. Umar (ra) was not Jamaat al Islami. Uthman (ra) was not Tanzeem-e-Islami, and Ali (ra) was not Hizb ul Tahrir. And yet, they were all Caliphs, and in fact so much of an obligation upon all Muslims was it, that Abu Bakr (ra) went to war against Muslims who failed to fulfil their obligation to the position of the Caliph, after the Prophet Muahmmed (saaw) passed away in the Harb ul Ridda. Muslims need to wise up to the arguments of Secularises and the hypocritical standards and contradictions that are behind them. America has two large and differing schools of thought, Democrat (Liberal liberals) and Republican (Conservative liberals). These two schools fight each other very vigourously in the USA for power, influence and control over laws and policies. Many Americans can tell you how political differences have ended marriages, started actual physical fights, and causes discrimination in their society based upon political opinion. Yet, if the United States collapsed tomorrow, and the only political group that arose to re-establish it was Republican – you’d see Democrats put aside their differences and work with the Republican group to re-establish the United States and its constitution, which (most) Americans believe in. Americans know that the State, and the unity of America is more important than party lines, or differences in school of thought. Their motto is ‘united we stand, divided we fall’. Why can’t Muslims? Secularisers may be intellectually colonialised, or simply are ashamed of Islam. Since there is nothing else to explain the discordant nature of their arguments, and the self-contradictory nature of their rhetoric. 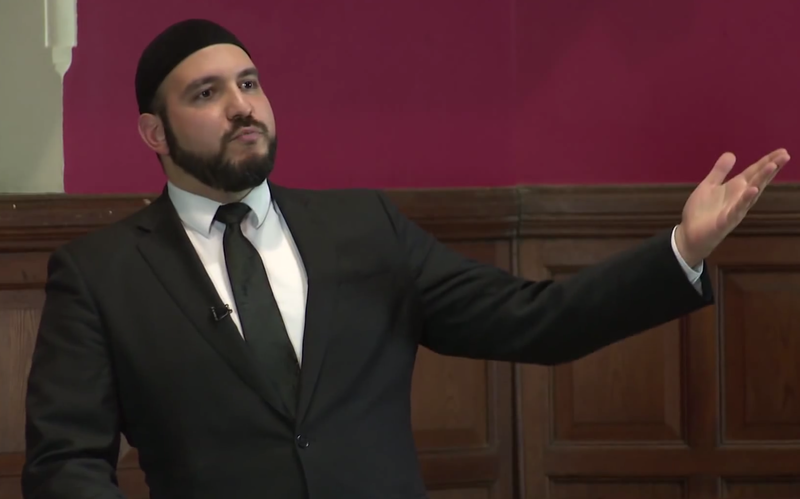 Why are some Muslims so ashamed of the Islamic idea of Caliphate? Why is uniting the Muslim world into one government that can combine resources for scientific research, develop self-reliant industries, be impervious to economic boycott, defend itself against endless Western military attacks, and end borders that serves to divide the Muslim world, ever conceivably be a bad thing? Is the Muslim world, and the artificial nation states that comprise it a peaceful, justice filled region that we should maintain? Are not Muslims dying by the millions in the last 17 years since the U.S’s war on terror? What state do Muslims have today would prevent foreign countries abusing its nationals, like America does whenever any of its citizens fall into trouble abroad? The answer is none. If Muslims don’t learn to stop being ashamed of Islam, we’ll never be respected by anyone else. The Muslim Ummah may be diverse and large, but if China can be unifed under one government, despite having 1.37 billion people, an area of 9,6 million km2, 56 distinct ethnic groups and 292 different languages, why can’t Muslims do it with Muslim majority countries whose collective population is lower than China’s, has similar or less number of languages, yet all commonly holding belief in the same God, same Prophet (saaw), same Book, and more agreement in laws and commands than Liberalism or Communism has amongst its own adherents? So imagine the confusion and bemusement of converts/reverts to Islam, entering with confidence into Islam and being proud of it, and wanting to take up the Prophet Muhammed (saaw)’s mission to bring the message of God’s purpose to mankind, a guidance into true justice and global mercy, only to see some ‘Muslims’ ashamed of their Deen, and be told to go back to the beliefs (of Secularism) they left behind. [F.O. 371/2490/108253, Sykes to Callwell, 14th July 1915, enlc. in W.O. to F.O., 6th August 1915; F.O. 371/24982, Sykes to D.M.O. (W.O. ), 15th, 19th, 20th, 21st, 28th November and 2nd December 1915, encl. in McMahon to F.O. ; F.O. 882/13, Sykes to Callwell, memorandum, dated 28th October 1915]. Al alam 3aleykom, I agree with all the points raised, but I’m a bit confused as what is meant by the phrase “establishing Khilafah.” Is it meant to say that one should strive, wherever he may be, to “establish” a government of Shariah? Or is your premise solely addressing secularists who don’t “agree” with the concept Khilafah. Muhammed (saw) was a prophet and a ruler; he made an invitation in Mecca and ended up with a state in Medina. However it became conventional to separate it from Sharia, so Siyasah would refer to Ijtihad issues a text did not address. For instance it is rather common for people to call politics a game to fulfill pragmatic ambitions, when in Islam it is a trust and responsibility. I said to Messenger of Allah (ﷺ): “Why do you not appoint me to an (official) position?” He (ﷺ) patted me on the shoulder with his hand and said, “O Abu Dharr, you are a weak man and it is a trust and it will be a cause of disgrace and remorse on the Day of Resurrection except for the one who takes it up with a full sense of responsibility and fulfills what is entrusted to him (discharges its obligations efficiently).” [Muslim]. An other issue is in comprehending Tawhid itself. Ultimately every command in Islam is a reflection of Tawhid, but we often see the concept of Allah’s sovereignty being stripped from content. We are told that to Him belongs the heaven and earth, however He also have the ultimate dominion over people. Just like with Allah providing provision for whom He wills, with some of it being acquired legally and others illegally and unjustly, sovereignty can be legal or illegal. Pharaoh and Nimrod (not mentioned by name) are examples of illegal sovereignty. Legitimate rulers include the kings of Israel who are assigned by Allah (who are mostly prophets). Or Caliphates whom people consent to (some scholars acknowledge monarchy as wrong but a lesser of two evil, while others consider it something that makes a ruler illegitimate all together). Because of China’s ruthless, repressive and controlling regime and ideology? Ok, so does India with its 1.32 Billion people, 3,3 million km2, 790 different languages, up to 2000 ethnics groups, how do they have a unified land under one government? Reblogged this on Pk Observer.